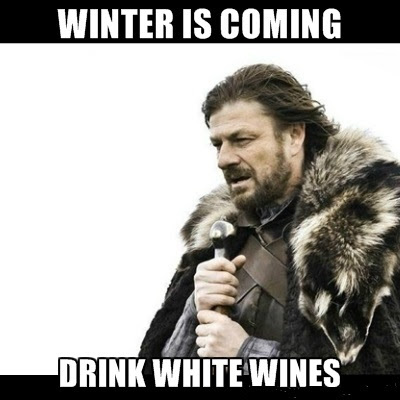 You can drink white wines during the Israeli winter. You should. Because there are usually less than 20 days of actual winter, the kind of winter days that call for a hearty red wine. The rest of the time, the weather begs for white wines. Or a red Burgundy. Because you should also drink a lot of red Burgundies. But that's a topic for a different post. What this post is about is a joint initiative of local wineries and importers to promote the drinking of white wines. Most of the the wines below are being offered at participating restaurants by the glass and at discounts. The selection is a no-brainer for me. If I had to select the best sources for local whites, Lewinsohn, Tzora and Sphera would top the list. And everyone who's reading me would agree the best choices for still and sparkling white wines are Burgundy and Champagne. These wines were tasted at Friday morning buffet luncheon at the Tel Aviv Shulchan restaurant, marking the official launch of this initiative. Gaston Chiquet, Tradition, Premier Cru, n.v. The Champagne portion of the event was, for me, challenging, as I found The Chiquet relatively sweet and preferred the Lallement, which others found lightly oxidized. But that's one of the great things about Champagne (and Eldad Levy's selection in particular): there's great diversity in styles, even within specific Champagne regions, and everyone has a favorite. Anyway, whereas I usually agree that Champagne should accompany food, this, with its forward citrus and apples would make for an invigorating aperitif. But just remember that my use of the word "forward" should be taken in context - this is a Champagne that would seem reserved and bone dry compared to sparkling wines from most areas. 239 NIS. This is more up my alley, being minerally and funky, but, while unlike others I didn't feel there was an excessive amount of oxidization (oxidization may be a stylistic consideration in some houses), this is the second bottle I've had recently that was sub-par. 265 NIS. One of the things I admire about Ido Lewinsohn is that he is equally adept in both red and white wines. And he is very adept (and all of the above goes for Tzora's Eran Pick). This is a pure Chardonnay, an excellent one that is poised between cool and warm weather Chardonnay (that is, it shows minerals and a bit a bit of flowers, as well as tropical fruit) that needs more time to compose itself - although the nose is excellent already 140 NIS. If I have to nitpick the Lewinsohn white and find a single fault, it is that it doesn't display, to me, the same sense of origin as his red wines, or as much as the Tzora whites. If you wish to experience a very deep sense of terroir, you'd need to have a go at the white Tzora Shoresh, which is pure Sauvignon Blanc, and of world class quality. The Judean Hills, tasted here, is a blend of Chardonnay and Sauvignon, heavier on the Chardonnay. It's rather more mundane and sweeter than the Shoresh - a working horse, restaurant wine, whereas the Shoresh is more of a wine for special occasions. But it's a wine that usually manages to exceed my expectations when I let it warm up and open. 100 NIS. Unlike Ido and Eran, Sphera's Doron Rav Hon chooses to specialize in white wines (he did make excellent reds during his tenure at Ella Valley, mind you). Pure and reticent, this flagship wine is comprised this year of 65% Chardonnay, the rest Semillon. This drinks youngest of the wines tasted at the launch and needs time to express itself, even in bold strokes. Like all of the Sphera wines, this is a very pure and hints at minerals and rain water - Doron's wines displayed this signature from the first vintage and he has only improved and focused his touch since. 160 (?) NIS. The motherland . Matrot is imported by Bourgogne Crown (Elday Levy again with Daniel Lifshitz). In a portfolio with many good value wines, Matrot is one of the most decently priced producer of white Bourgognes. 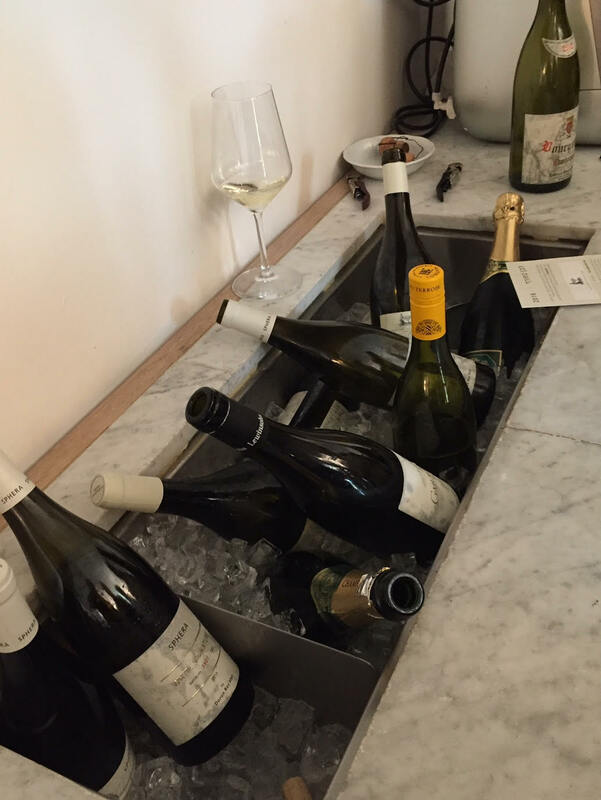 Let's go back a bit and review what this wine drinking business is all about. The French, who allegedly invented it, discovered that savory, salty, sweetly bitter flavors accompany food better than overtly sweet and fruity ones. Burgundy whites perfected the formula and the Matrot Bourgogne is a good example of it, even though it might hang low in the Bourgogne hierarchy. 115 NIS.